Kalim Andraos is an American businessman who invites marketplace leaders to travel with him internationally to encourage and equip leaders of compassionate ministries that provide aid and comfort to hurting refugees. Born and raised in Beirut, Lebanon, Kalim experienced firsthand the bitter civil war that tore his nation apart from 1975-1990. As a teenager in 1982, he joined the ranks of one million Lebanese who ultimately fled their homeland, settling in Winston-Salem, North Carolina to join other family members. In 1988, he graduated from North Carolina A&T State University with a degree in electrical engineering and entered the business world. 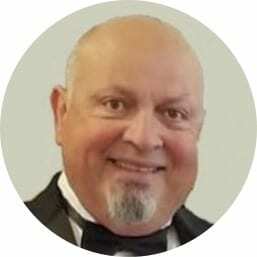 Today he is Vice President of Andraos Brothers Inc., a successful independent chain of self-service gas and convenience stores in Winston Salem. As a result of his business acumen, he has served as guest lecturer at the Bryan School of Business at the University of North Carolina-Greensboro where he shared his knowledge and experience on how to become a successful entrepreneur. A sincere follower of Jesus Christ, Kalim has felt a great call on his life to help refugees in the Middle East as well as the oppressed in North Africa. Since 2010, he has taken numerous teams to aid refugees in Lebanon and Turkey as well as visiting like-minded leaders in Egypt, Jordan, Morocco, Tunisia, Britain and Germany. For the past 11 years Kalim has served on the board of NCS Vinebranch, the missional nonprofit arm of New Canaan Society-Winston Salem Chapter. He also serves as Director of International Missions. In addition, he serves on the National NCS Missions Committee. From 2008 to 2012, he was a board member of the National Theological College and Graduate School, an accredited program based in the US that trains pastors in their native countries in the Middle East and Africa. When not working or abroad on mission trips, he is a frequent speaker at New Canaan Society meetings and conferences, city-wide prayer breakfasts, and churches. He and his wife, Paula, have four children, two of whom live at home. They frequently open their home to accommodate international visitors and host large dinner parties in their honor.